I don't usually read non-fiction. You can usually find me lost in the pages of a psychological thriller, mystery, or even a bit of easy-to-read chick lit - I like my stories to have good characters and an interesting plot which is able to hold my attention and stretch my imagination. And aside for the odd factual read - I'm currently dipping in and out of The Establishment by Owen Jones - for work purposes I don't usually stray into the field of non-fiction. Yes, I've loved some of the recent feminist literature including We Should All Be Feminists (Adichie) and Everyday Sexism (Bates) and can't pretend that my reasons for reading are entirely work-based (I teach Sociology), I tend to read fiction for pleasure. But after hearing a friend sing the praises of her most recent read, I was intrigued. The Year of Living Danishly by Helen Russell was lent to Kat by her sister who lives in Denmark (be sure to check out Kat's posts on visiting Copenhagen) and promises to reveal the secrets behind the world's happiest country. Having never been to Denmark, I was a little in the dark as to how it could possibly claim to be the most content nation on earth... when the only things that come to mind are pastries, cold weather and windmills. Or is that Holland? As you can see, my knowledge of continental Europe is pretty poor. And wow, what a revelation The Year of Living Danishly was! As a book, I loved it - it was interesting, well written and really quite funny in places. And it ticked all the boxes for me in that as well as being an informative read, it had a heart to it - the author discusses the trials and tribulations of their year in Denmark and their attempts to fall pregnant. The Sociologist in me was enthralled; discussions of social policies aimed at improving security, justifying the high level of taxation, a real living wage and trust in the system by the people really helped me comprehend the Danes' psyche. Britain, take note! And although I joke that Denmark may just be known for pastries (and bacon), hearing quite how perfect they are has given me more than enough cause to visit the home of Hans Christian Andersen and Nikolaj Coster-Waldau (aka Jamie Lannister). And unless you've been living under a rock for the past few months (longer?) you will have heard of the Danish concept of hygge. Just pop in to your local Waterstones and you will see a whole table dedicated to books promising to teach you the Danish art of cosiness. Cosiness undersells it, though. In TYOLD, Russell tells how its about relaxing at home with friends under the warm glow of candlelight, with good food, conversation and a sense of wellbeing. Who wouldn't want that? And for Danes, creating a sense of homeliness is really important. And it's not just about filling your home with whatever tat you can afford and serves a purpose; living stylishly is key. In the book, Russell speaks with various 'experts' on the art of living Danishly, including how to to style your home appropriately. We learn design is key, with names such as Arne Jacobsen and Poul Henningsen being floated as the designers to invest in - apparently half of all Danish homes own at least one lamp designed by the latter. Lamps, in fact, are a big deal. Multiple lamps in each room are used to create "pools of light" to help foster a cosy, warm (note: hygge) environment. Even the removals men are au fait with home design and creating an attractive space, as Russell and husband discover. 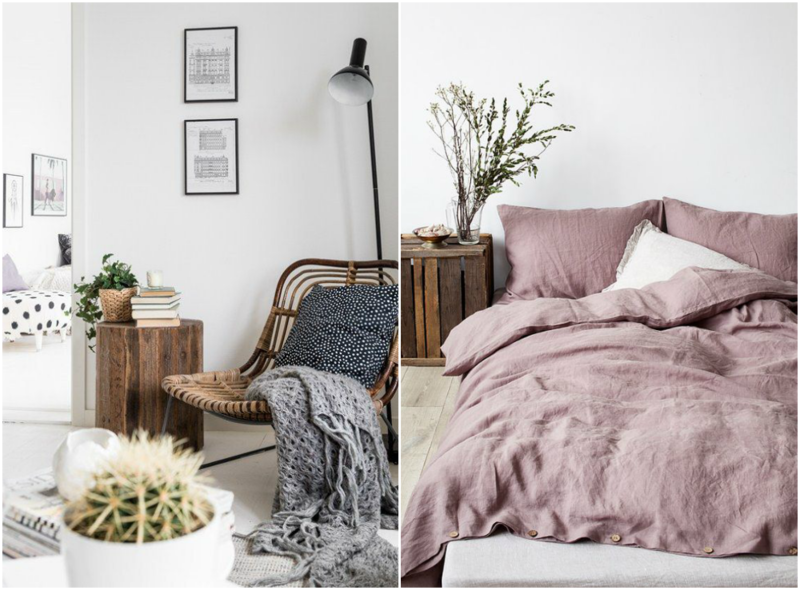 And getting hygge isn't just confined to the winter months, when spending time at home wrapped up on the sofa with a good book is more appealing - the book introduces us to summer cushions vs. winter cushions... a revelation indeed! 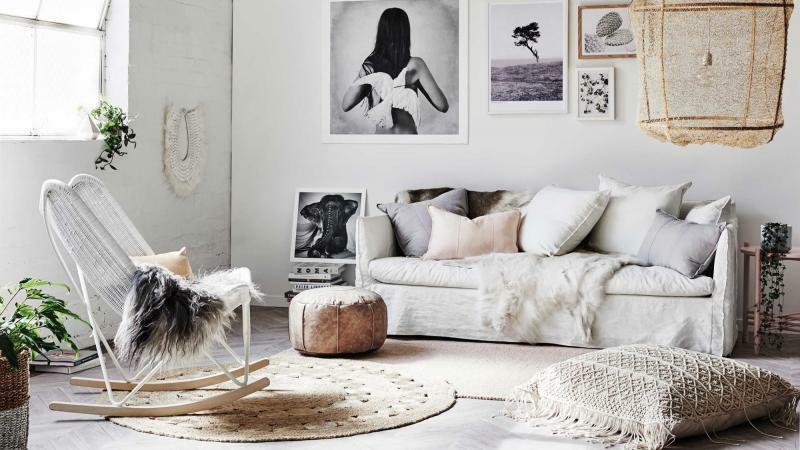 So for Danes, creating a warm, comfortable space at home is an integral step in maintaining a good level of wellbeing. And I get it - after a busy week, relaxing and revitalising at home is important to me. If I can start to harness this idea of hygge; getting cosy, familiar and content in my home, I'm hoping relaxing will come just that little bit more easily. And since moving in to our new flat, we've been trying to do just this. I'm currently in the throws of an exciting DIY project; an IKEA hack where I'm doing up a Tarva chest of drawers. Not the cheapest chest in the IKEA warehouse, but one which I can make my own and give our bedroom a small design 'lift' as it were. The Danish take on lighting is something I've been thinking about - rather than sticking on the ceiling light each evening, we've been tactically moving our table and floor lamps round the room trying to find the perfect set up. I admit, it's become a bit of an obsession! 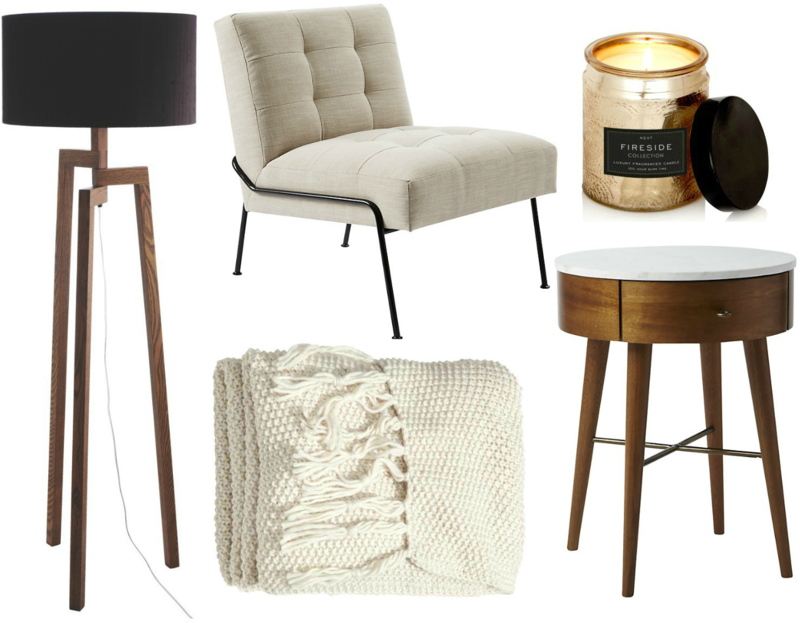 Whether it be popping down the road to my local Habitat, John Lewis (hello West Elm) or HomeSense, or looking online at Lampcommerce (I love some of the Artemide design floor lamps) or H&M Home, there is so much inspiration to help you create your own little corner of hygge and happiness. I can't wait for the temperature outside to really dip - roll neck jumpers, cosy coffees and hygge ahoy! Floor lamp; Habitat. Arm chair; West Elm. Blanket; H&M Home. Side table; West Elm. Candle; Next Home.